We all know that labels can be limiting, restrictive, and oversimplistic. We can use labels to control or pigeonhole other people, or we can use labels as an excuse for inaction or lack of growth. That's the objection that some people have towards a label like "introvert." Even if they exhibit the telltale signs of introversion - finding energy in solitude, processing internally, a rich inner life, fewer relationships and interests - they still do not want to wear the label. They object that others will use it to reduce them or that the human personality is so complex and multifaceted that it cannot possibly be delineated so narrowly. They want to be treated as a whole person, not as a category or caricature. I sympathize with such a mentality. There is a Gen-X sensibility in me that says "Curse your labels! You can't limit me!" And of course, each person is unique and we'll never completely grasp the full, profound mystery of the human person. But I've come to see that there are very positive things about labels as well. Here's the thing. We already use labels to describe people's personalities all the time. We may say someone is "outgoing" or "reserved," "organized," or "spontaneous," "intellectual" or "emotional," to give a few examples. A temperamental inventory like the Meyers Briggs takes those labels and distills them, with thorough observation and research, into precise, psychologically grounded categories. This precision enables us to have widespread agreement on the definition of our terms and eliminates some of the ambiguity and guesswork in our discussions about temperament. Observing these larger patterns in the population, and using this agreed upon terminology, helps us to understand each other and to relate to one another in a variety of contexts - socially, professionally, romantically. While labels can be limiting, they can also be incredibly freeing. 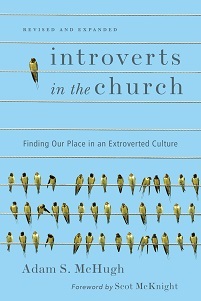 Many people who have read Introverts in the Church have told me how powerful it is to have themselves described in language they had never used, but that fits them very accurately. [Here's one great, funny story of that experience] Some have told me that I know them better than they know themselves (! 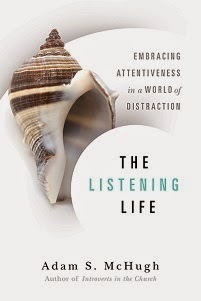 ), but I had the same experience when I learned the precise definition of introversion a few years ago. I breathed a deep sigh of relief when I first read the list of introverted characteristics, because it meant that I was normal! Millions of people in the world have the same tendencies that I do, and I felt less alone. And probably the best thing about temperamental labels like introversion is that they help build us relationships. They help us connect with like minded people - and we all need other people who understand us and know exactly what we're talking about when we describe something about ourselves - and they help us connect with different sorts of people too. They key is to use our labels as starting points, not ending points, and as ways to love one another, not limit or reduce each other. And of course, our foundational label will always be child of God!